The companion magicApp is only available for customers with an ACTIVE magicJack Device. 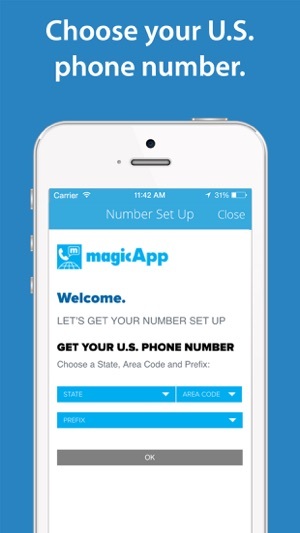 Please ensure you are assigning your magicJack device phone number in the companion magicApp. If your magicJack device is expired, you can login www.my.magicjack.com and renew your service and resume using your FREE companion magicApp. The companion magicApp is limited to one smartphone or tablet per active magicJack device number. 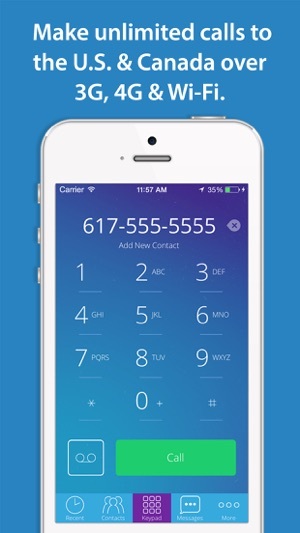 * magicJack customers can enjoy texting to any U.S. mobile number using magicApp - your friends & family don't have to download the app to text! 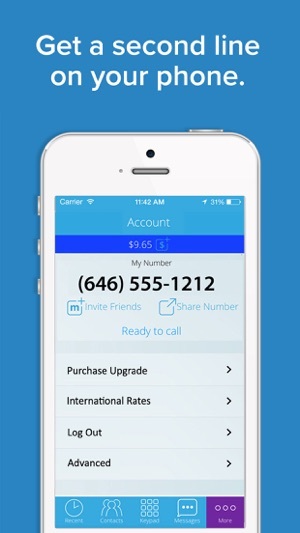 Call family and friends on magicApp worldwide and save on international calling at the lowest rates. Use magicApp on devices running iOS7 or higher. I do not understand why it is impossible to delete this app and stop autorenew. I was online forever trying to get the info and there are so many easy ways to renew an account, even without needing to log in the site or be registered, but it seems they make deleting impossible. Why? To keep you stuck forever and paying them? 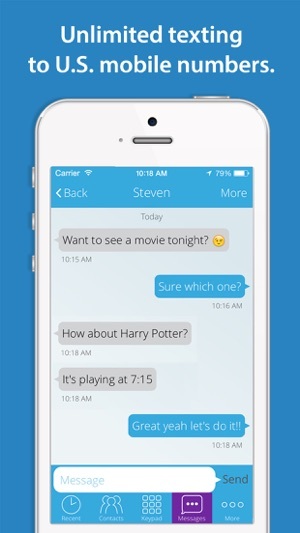 Also, this app never ever worked for me. I got it cause I moved overseas and wanted to have a local number for everyone back home. A lot of times calls don’t come through and ALL the time you can’t have a conversation cause the connection does not work. I mean every time. I have never had a call work, ever! If i do get a text, i would not know unless i open the app myself (even though notifications are on), it just would not refresh unless I open the app. And the texts are nightmares, somethings going in the wrong order if you are sending a longer conversation. I want to delete the app cause I don’t want to spend money on this anymore and it has never ever worked. Let me delete the app please. I want account deletion. And to stop paying! They told me they cannot when I called them! What is that about?! Just delete my account! The new one will have a new interface and everything. It is very very nice. It’s in beta testing and I was participating but had a serious issue regarding missed calls, so had to drop the new beta version. MJ has been wonderful, always dependable, always there when you need it. How can the price be beaten? When they release the new version, I honestly believe business for them will be through the roof. One thing they could try to work on is the quality vs data usage. Facebook uses half the data that MJ uses and I think fb may have slightly better quality. When I was using my jetpack internet only device, I went to facebook calling most times unfortunately. If they dev a good bitrate compression system, they could be very efficient over their own network! They may really benefit from it. 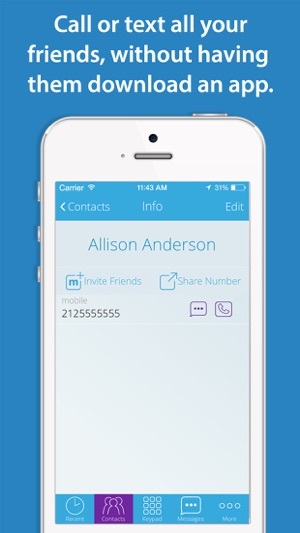 Ive used this app internationally since 2013 and will say it is hands down the best overall voip phone app. The problem I have is when you get dependent on it and the service quits for whatever reason you’re left high and dry. For example I’ve passed out dozens of resumes that include my number on it, but no one can call me because right now the service won’t connect. Luckily I found the glitch and a workaround. I use the iphone 7, running iOS 11.3. When I open magicJack at the bottom right hand corner where the three dots are (or more options) , it will light up with ‘offline’ briefly, then disappear. Once you tapped the three dots it takes me in to the additional option screen where I see the status “connecting”, but it never changes to “ready to call”. In order to make it work I have to switch my data off of LTE and use 3G only. It will also work on wifi if you turn off LTE.